About | Land & Livestock International, Inc.
First: The Bottom Line. Ranches that have converted from conventional management practices to our method have seen up to four fold increases in rangeland carrying capacity and increases in profits of up to 300%. Land & Livestock International, Inc. is a leading agribusiness management firm providing a complete line of services to the range livestock industry. We provide educational, management and consulting services with a focus on ecologically and financially sustainable land management that will enhance natural processes (water and mineral cycles, energy flow and community dynamics) while enhancing profits and steadily building wealth. We recognize that natural systems function as wholes that are greater than the sum of their parts. Every decision impacts the whole system. Our approach to land management is a circular and never ending process of planning, implementation, monitoring, controlling, correcting unfavorable variances and re-planning. It seamlessly integrates grazing, livestock, land and financial planning with financial and biological monitoring, control and re-planning.It views the land, livestock, people and money as one. Our approach is comprehensive and adaptive, meaning that we take into account changing circumstances such as drought, herd size and seasonal fluctuations in weather. 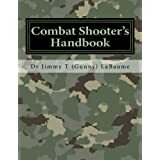 We use (and will teach you to use) a planning process that was developed over hundreds of years by the militaries of the Western World in situations where critical decisions have to be made quickly and decisively while under stress. This type of planning follows a logical, step-by-step process where each decision is made in a manner that takes full consideration of those made before it. We will also show you an objective method of setting priorities that ensures you will always, year in and year out, maximize profits, maintain a positive cash flow, avoid debt crises, and continuously build wealth while you improve the land upon which you live and we all depend. You will learn to create your “ideal plan” then implement that plan incrementally as your financial position allows it with priorities being set in light of your overall strategic goal. We respect the fact that ecosystems are complex, intricate webs of life entwined in such ways that no mortal man has yet to fully understand. We do not advocate forcing the land to fit our demands with strong armed, high energy consumptive, agronomic methods. To the contrary, we adapt our methods to the environment. 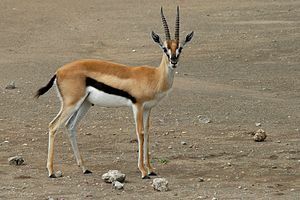 A Thomson’s Gazelle at Serengeti National Park, Tanzania. And this is exactly what we do using the energy of herd animals (cows in lieu of wildebeests) instead of expensive fossil fuel energy (machinery, herbicides, fertilizers, etc.) while leaving room for deer, pronghorn, elk, Barbary sheep, etc. in lieu of Thompson’s Gazelle. Barbary Sheep at the Wildlife Ranch in San Antonio, TX. We do not manage for any particular species. We manage for the health of the ecosystem as a whole. The biodiversity created in the process increases the populations of all living creatures from soil microbes to insects to birds (including game birds like dove, quail, ducks and geese). Consider all of this together and you can see why we can say, with confidence, that converting from conventional management practices to our method can increase your rangeland carrying capacity four fold and your profits by up to 300%. Our consulting and management services range from short-term consulting to turn-key whole ranch master planning and management for absentee owners. Practitioner training ranges from half-day introductory workshops to week-long courses to a 12-month comprehensive ranch and rangeland management course. We lease land and custom graze livestock. We are looking for investors who are interested in the investment potential of rural land and would like to be a part of an environmentally sound, sustainable and profitable ranch. Browse our site on the web at www.landandlivestockinternational.com and contact us. Hurrah, that’s what I was looking for, what a information! present here at this blog, thanks admin of this web page. 000,000 and please continue the enjoyable work. May just you please extend them a little from next time? Thank you for the post. There is one small problem with that Dominick. 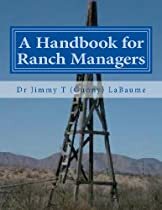 This is what we do for a living (provide ranch management consulting services) and we are already giving away far more of the store than we should be. read stuff from. I appreciate you for posting when you’ve got the opportunity, Guess I will just book mark this web site. Hi there superb website! Does running a blog similar to this require a lot of work? I’ve virtually no understanding of coding but I had been hoping to start my own blog in the near future. Anyhow, if you have any recommendations or tips for new blog owners please share. I understand this is off topic nevertheless I simply needed to ask. Thanks a lot! There are lots of ways to publish a blog. All I did was just go to WordPress.com and follow the instructions. Pretty easy–even for an old Luddite like me.